Juliet joined MAXIS GBN in 2011 as Regional Director for Asia Pacific leading the sales and operations in the region. Her career has incorporated leadership roles including working with a large global insurance company and consulting firm, building a large portfolio over the years and assisting more than 300 firms across Asia in benefits strategy, design and implementation. 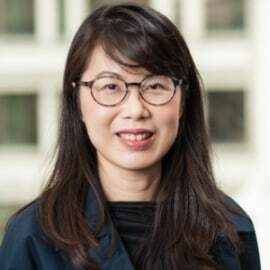 She has more than 20 years’ experience in insurance and finance, and is especially well versed in the Employee Benefits field in Asia, with in-depth knowledge of market practice, underwriting, products and operational aspects. Juliet graduated at Curtin University of Technology with a double majoring in Banking and Finance.